“Love Rat” is one of British street artist, Banksy’s, more famous works. 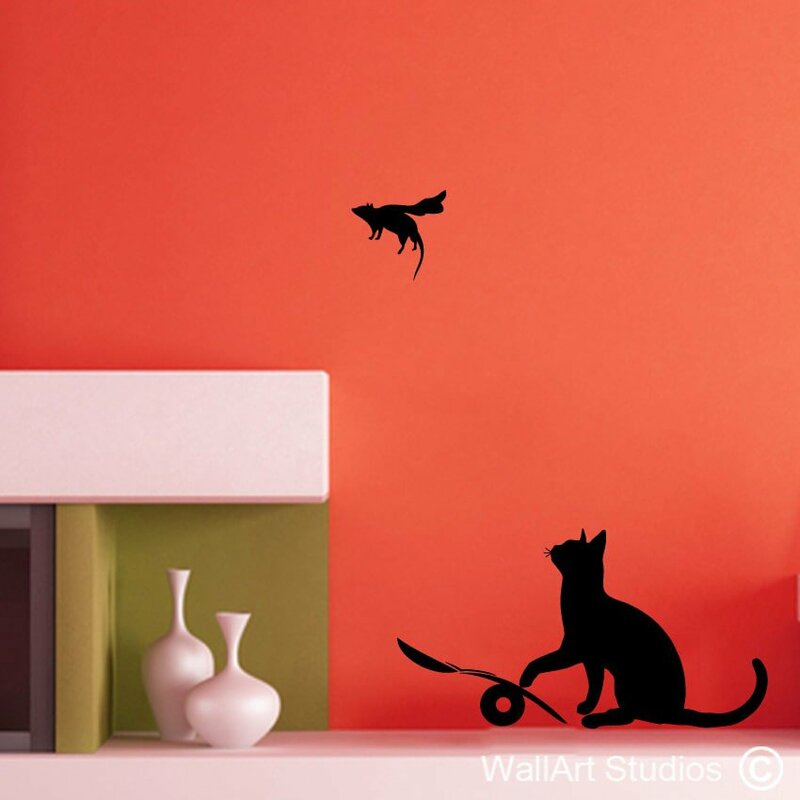 This stencilled picture features a rat with brush in paws having just painted a dripping, bold red heart on a wall. 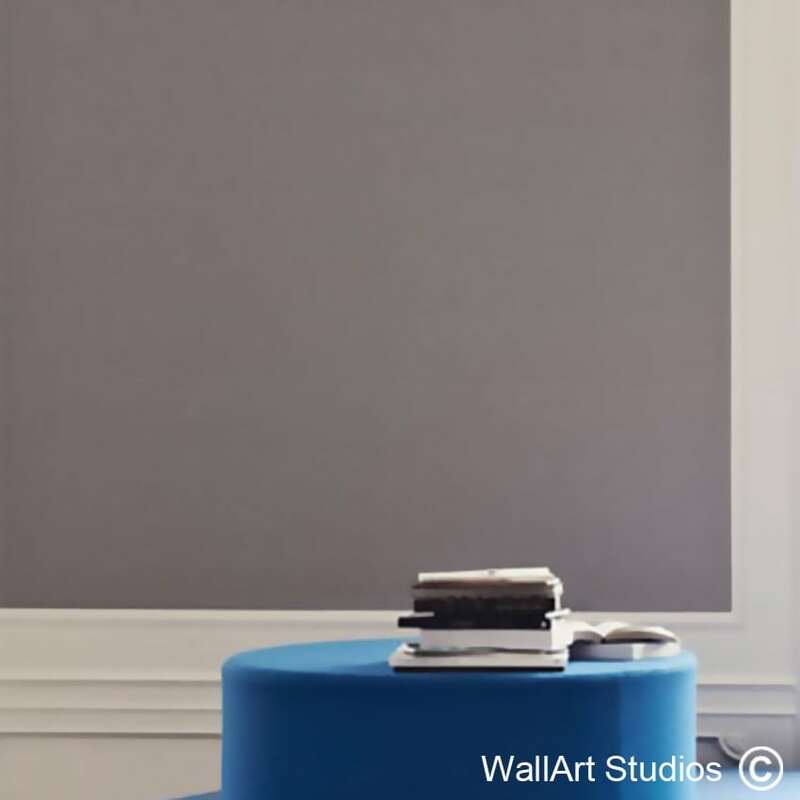 One of the things that make “Love Rat” so special is that it is a recurring character, something that this world famous graffiti artist doesn’t often do. 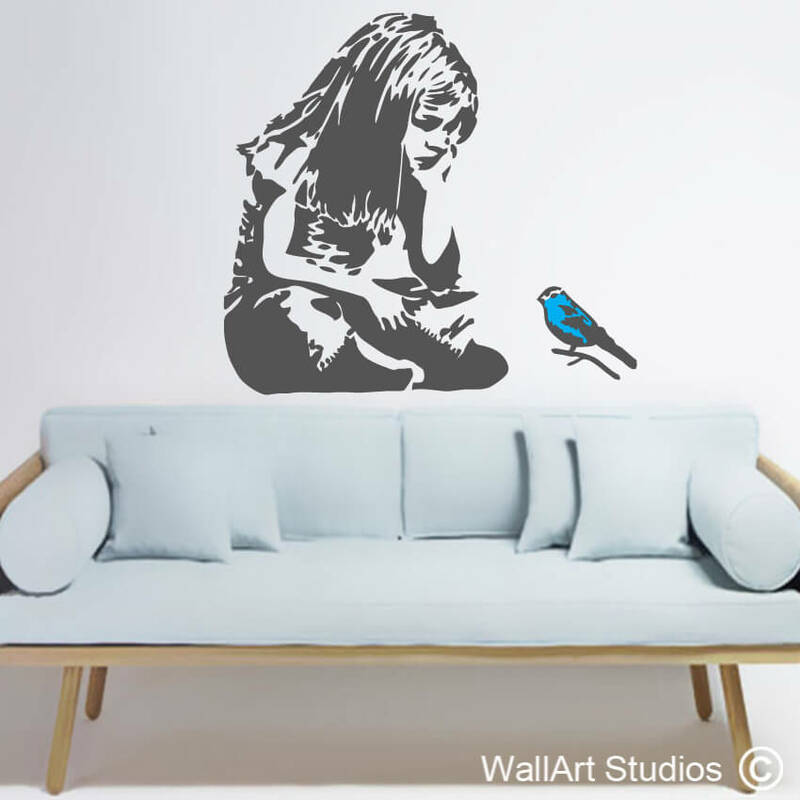 The symbolism of this artwork is debatable, as it is with all of Banksy’s work. Rats are undesirable creatures and yet here is one making a bold statement about love. 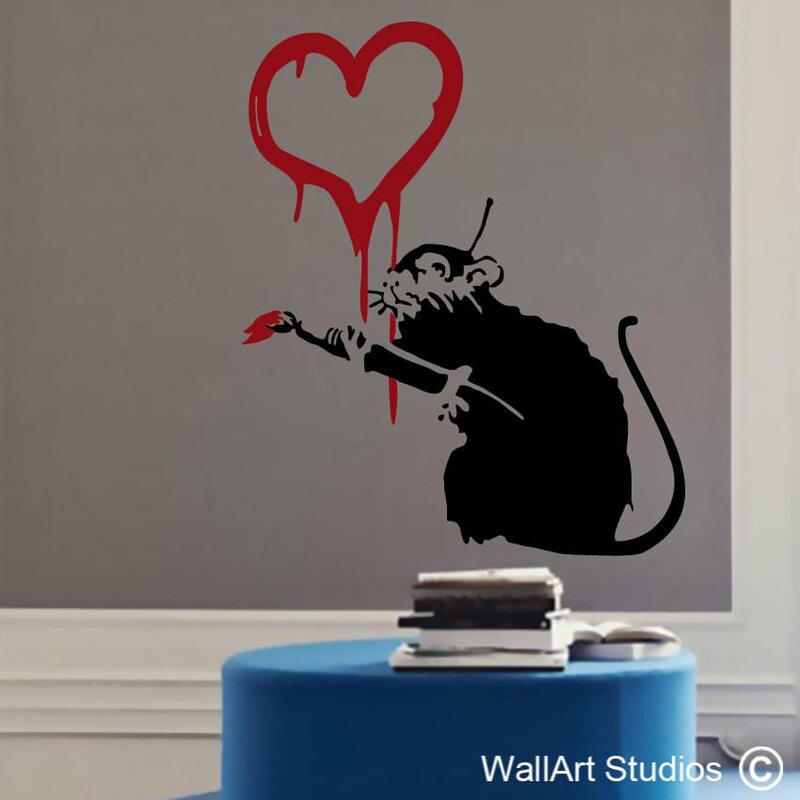 Whether you identify with your interpretation of this artwork, or simply love Banksy’s bold, naked statements, our “Love Rat” wall art stickers make a fantastic embellishment to your home’s décor: perhaps in your office, library, den, entertainment room or man cave. 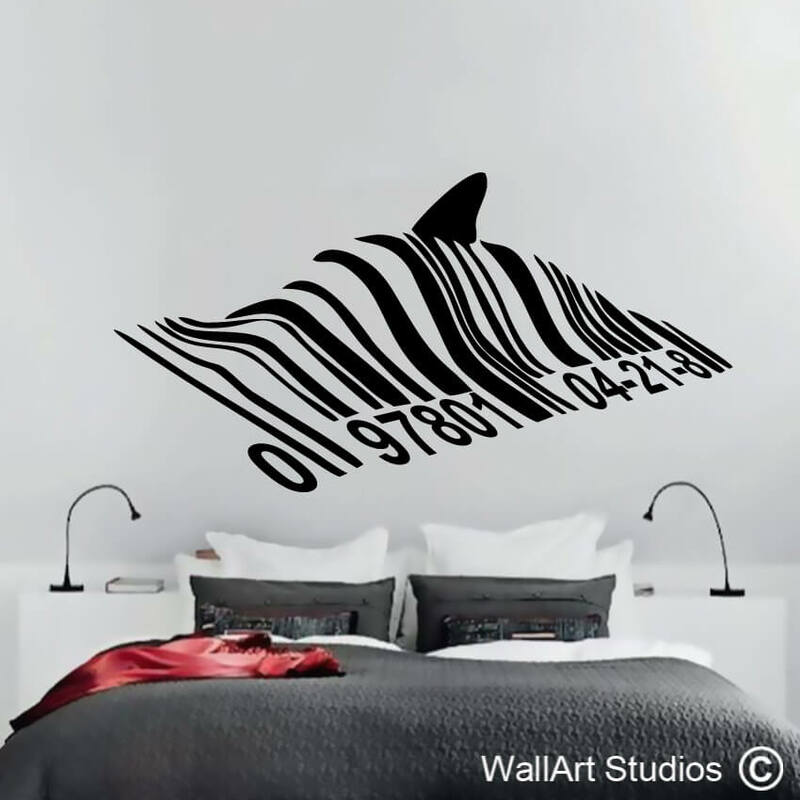 SKU: NK3. 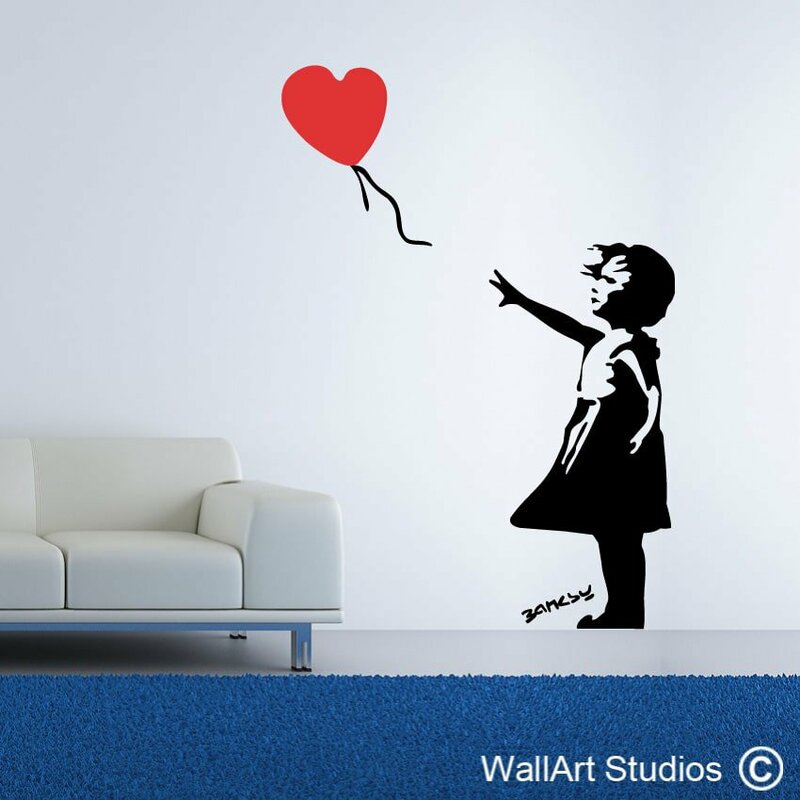 Category: Banksy Wall Art.